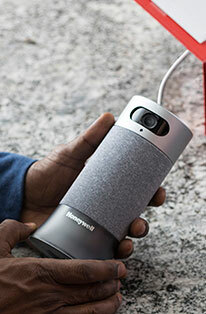 Honeywell Heaters can be characterized by their intuitive use of smart technology, numerous nods to safety and accessibility via effortless portability. The sum of these user friendly features distinguishes Honeywell Heaters as an elite selection for any home or workplace setting. Regardless of whether you're looking to acquire a heater that's capable of delivering personal warmth or whole-room comfort, the Honeywell Store offers a robust selection that can provide immediate solace during these winter months. For a smarter, safer and easily transferable source of heat, shop Honeywell Heaters this holiday season. 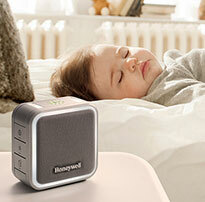 The Honeywell HeatGenius Ceramic Portable Heater surpasses established standards by utilizing a series of smart features. Living up to the exceptional standards set by its genius moniker, this portable heater includes six heat settings (Personal to Whole Room). A variety of heat settings allows owners to select a heating preference based on their surroundings. Combine these settings with the portable properties of this heater and owners will have access to an exceptionally versatile and powerful heating unit for the frigid winter months. 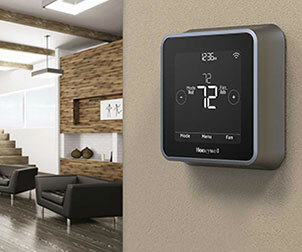 The user experience is enriched with the inclusion of a programmable thermostat and easy-to-use LED display. The Honeywell HeatGenius Portable Heater also includes two newly implemented features. The HeatPhase Timer will invite owners to adjust their heating preferences in timely 30 minute to 2 hour intervals. 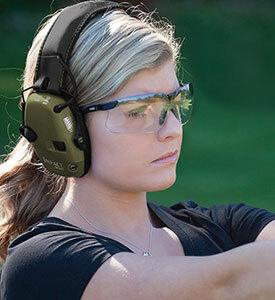 Quiet Mode provides a steady stream of heat while emitting white noise. Honeywell Heaters incorporate a series of built-in safety features that will allow owners to achieve a worry free experience when adjusting their heat settings. The Honeywell UberHeat Ceramic Personal Heater provides an easily transferable means of accessing heat without the risk. This personal heater includes added protection in the form of a four way tip-over switch that disables heat if the unit is tipped in any direction. The inclusion of a high temperature safety control will prevent overheating, while the heater's Cool Touch Housing allows for worry-free interaction. The theme of maneuverability is another signature standard in this selection of portable heaters. The Honeywell Personal Dual Position Space Heater Fan is an increasingly versatile unit that offers personal heating (two heat settings) and a no heat (fan only) mode. The addition of a built-in thermostat will provide owners with a visual indicator of the surrounding temperature. This personal heater also includes a dual position design. Owners will have the option to position this heater upright or on its side. The 3 lb. weight of this heater and its ability to be maneuvered in multiple angles make it the ultimate in user accessibility. The availability of these Honeywell Portable Heaters and a host of other units make the Honeywell Store the premier online destination for acquiring an efficient and accessible means of heating your surroundings.